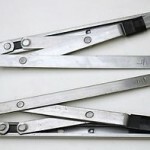 PVC, aluminium and many modern timber framed windows rely on a scissor type hinge system to open and close. When not oiled regularly (a couple of times per year) these hinges can become stiff and eventually strained and damaged. This causes a small gap to develop between the opening sash and the window frame. This is the No.1 cause of draughty windows. The good news is that hinges are easily replaced and can leave windows working like new again. New hinges will allow the window to open and close freely and ensure an airtight seal, no more draughts! 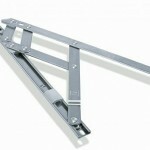 While most of these hinges appear very similar, there are some very important subtle differences and it is vital that hinges are replaced with the correct type to suit your window and its location. 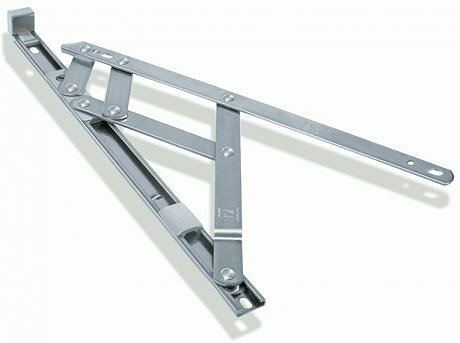 We stock the widest selection of window hinges so you can be assured that if your window needs an egress hinge for fire safety or a counterbalanced hinge that will resist wind damage; we will have the correct hinge for your window. Some repair companies adopt a ones size fits all approach. With so many different window types this may make life easier for them but nothing works better than the correct part used as it was designed to be used.